CGBSE 10th Admit Card 2019: Chhattisgarh Board is going to organize the 10th Class examinations for the academic year 2018 -19 in the month of March. Students pursuing the class 10th in CGBSE can download the admit cards from the official website, cgbse.nic.in. The Chhattisgarh Board will soon release the admit card for the 10th class examinations. The examination venue, dates, and timings details will be printed on the CGBSE 10th admit card. After downloading it, students can check the details from it. Students who are undergoing their class 10th education in Chhattisgarh state are informed to carry the admit cards as a must when going to the examinations. After the hall ticket verification, candidates will be sent to the examination. If any student forget/loses the hall ticket, they will not be allowed to carry forward with the exams. Students must keep the hall tickets safe to carry to the exams for all subjects. 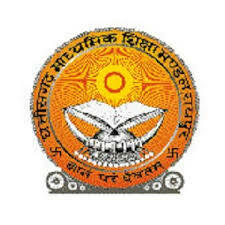 Chhattisgarh Board of Secondary Education is a board of school education in state of Chhattisgarh. The board was formed in the year of 2000 and the headquarters was situated in Raipur. The board monitors the promotion and development of secondary education in the state of Chhattisgarh. Every year, the board organizes examinations in the month of March. Every year lakhs of students appears for the class 10th examinations. The board organizes the examinations across many centers of the state. Students presently pursuing in various affiliated schools in Chhattisgarh can attend the examinations as per the scheduled dates. All the students going to appear for the Chhattisgarh 10th Class academic examinations 2018-19 can download the hall tickets from the CGBSE official website, Cgbse.nic.in. Approximately, the Chhattisgarh Board is expected to release the hall tickets in the month of February 2019. Hence students pursuing 10th class under the Chhattisgarh Education Board can get ready to download the hall tickets. The hall ticket release date will be announced by the CGBSE before the exams. Hence students can stay checking the CGBSE portal for latest updates. Students can download Chhattisgarh Class 10th Hall ticket 2019 before 10 days of the examination (approximately). Go through the admit cards clearly after downloading. If any printing mistakes appear in name, sir name, date of birth or any other field, students can complain to the corresponding schools in which they are studying. After considering the complaints, the CGBSE Board will re-issue the hall tickets to the students by making the necessary corrections. Students can download the recently issued hall tickets and take a printout of it to carry to the examinations regularly. Do carry the admit cards for all the subjects examinations. Visit the CGBSE website, cgbse.nic.in OR go through the direct link given below.